It has been about two weeks since my last Lake Texoma fishing report and with the warmer weather we have seen a few changes on the lake. Water temperature is 43-49 degrees, lake elevation is 616.19 and water is off color. We are mainly fishing west of the Highport marina, working ledges and humps in the 30-45 ft water. 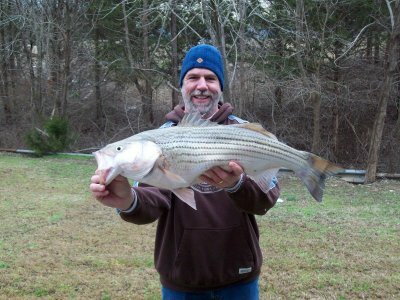 Read StriperMaster's Lake Texoma Striper Fishing Report.